Home / Shop by Product / Books, Bookplates & Bookmarks / Books / Lines and Triangles and Squares, Oh My! Little ones will romp about with Bluebell the cat as they discover the different shapes out there in our great big world. There are lines and triangles and squares, and so many other shapes too. Following along with the text by Zoe Burke, they’ll get to fly a kite in the field with Bluebell or join him as he snoozes on the sofa—all while investigating the shapes drawn by Carey Hall. About the Artist Carey Hall is a graphic designer who enjoys creating playful illustrations. 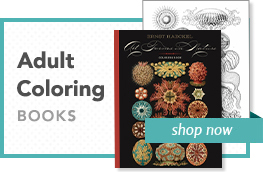 Her charming designs have graced everything from billboards to board books. She lives in Portland, Oregon, with a giant dog in a tiny house. 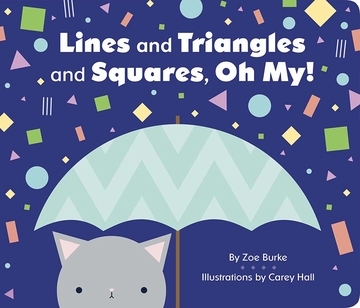 About the Author Zoe Burke is the author of numerous board books by PomegranateKids. As a mystery novelist, she has published Jump the Gun and No Gun Intended (Poisoned Pen Press, 2013, 2016). She lives in Portland, Oregon, with her husband.